Celebrating Cinco de Mayo has become a wonderful opportunity to celebrate Mexican heritage, build bridges between cultures, and of course, enjoy some delicious guacamole to the rhythm of some good mariachi. However, what does this date commemorate and what does it represent to Latinos in the United States and abroad? Napoleon III, who established his authoritarian empire over France in 1852, was eager to expand his colonial pursuits. Invading Mexico would give him leverage against other world powers, especially the United States. A successful invasion would also expand his power in Latin America. Mexican conservatives, the upper class who lost the upper hand when liberal President Benito Juarez was installed, were pushing for the invasion and offered their support to France in exchange for power. France envisioned itself successful in this pursuit because the United States was especially vulnerable. The United States at this time was fighting the American Civil War (1861-1865). All these factors were incentives that were far more valuable to France than collecting debt. The Battle of Puebla, in and of itself, was a short-lived triumph, however, this little victory fueled years of resistance fighting by Mexican guerrillas and eventually, in 1867 Mexico rid itself of the so-called "French Intervention." On May 5, 1862, in the city of Puebla de Los Angeles, under the command of General Ignacio Zaragoza, 4800 Mexican soldiers defeated the famously invincible French army in just a few hours. Later on, the French army recomposed, attacked the next town and the French occupied the country for about five years, but not without a steady constant fight fueled by this tiny but spectacular victory. The city was renamed to Puebla de Zaragoza and the story of this victory was told and retold among freedom fighters as they continued to fight the French army until it left the country. Cinco de Mayo in Mexico is a date observed throughout the country but it is not an official holiday. There are no fiestas, no parades in every town square, and definitely no big fuss. Elementary schools may remember the day on the nearest Monday assembly, and many a child will write a paper about it, but in general, it is just part of Mexican history. The only place where this is an exception is Puebla. The city of Puebla holds parades and ceremonies every year with different levels of grandeur and formality. 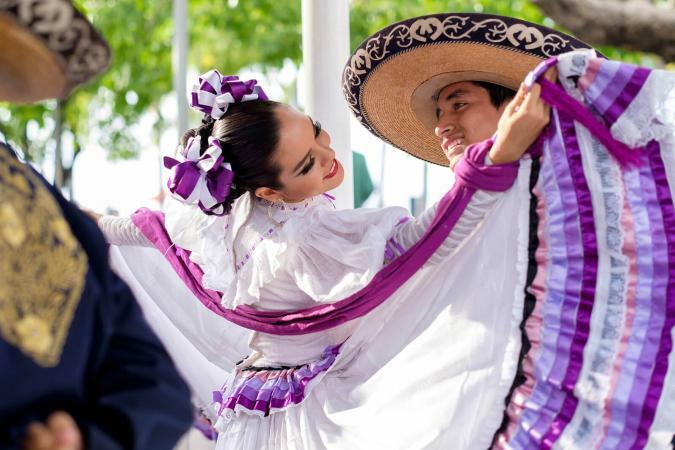 For the Battle's 150th anniversary, for instance, the city of Puebla held a two-week festival including parades, concerts, re-enactments, and all kind of festivities and celebrations. If anyone celebrates this festivity in Mexico, it is the citizens of Puebla, it is not only pride but also a civic duty. If Cinco de Mayo is so moderately celebrated in Mexico, why is it such a big deal in the United States? It is important to remember that from 1847 to 1853, starting with the Mexican-American war (1847) and concluding with the Gadsden Purchase (1853), the northern border of Mexico changed quite a bit. By 1862, it had only been a decade or two that the modern-day border had been set and many of the people residing at that time in Texas, New Mexico, Arizona, and California still considered themselves Mexican. General Zaragoza for instance, is said to have been born in Goliad, Texas. In fact, both the city of Goliad Texas, and the city of Columbia, California (populated by Mexican miners at the time), claim to have been the first to celebrate Cinco de Mayo across the border. It was during the 1950s and 1960s that the Cinco de Mayo celebrations rooted themselves as part of American culture. It all started during the 1950s, as the United States encouraged good relations with neighboring countries in what was called the Good Neighbor Policy. Among the efforts taken was that of embracing the celebration of the Cinco de Mayo in Latin communities as a means to build cultural bridges of mutual understanding. By the 1960s, Chicano communities had embraced the celebration as a way to strengthen their cultural identity and draw inspiration from the victory of the underdog as they too fought to establish themselves in America. The UCLA Center for the Study of Latino Health and Culture states that Cinco de Mayo celebrations are important to Latinos in America because it helps cement their collective identity. The fact that this day commemorates an underdog victory has been a source of encouragement and motivation to persist in the hope of achieving the American dream. Having a fun fiesta to get together with other Latinos, whether of Mexican heritage or hailing from other parts of Latin America, also helps promote a sense of community and is a source of ethnic pride. This is probably the prevailing reason why Cinco de Mayo is celebrated in cities all over the United States. Some even say that Cinco de Mayo now rivals St. Patrick's Day countrywide. Undoubtedly, clever marketing makes the world go round, and if marketing has done anything for this day of festivities, it has expanded its reach and encouraged its celebration regardless of heritage or cultural background. Since 1980, the powers that be have encouraged the celebration of the Cinco de Mayo with clever slogans, tasty treats, and just way too much fun to simply pass it by. 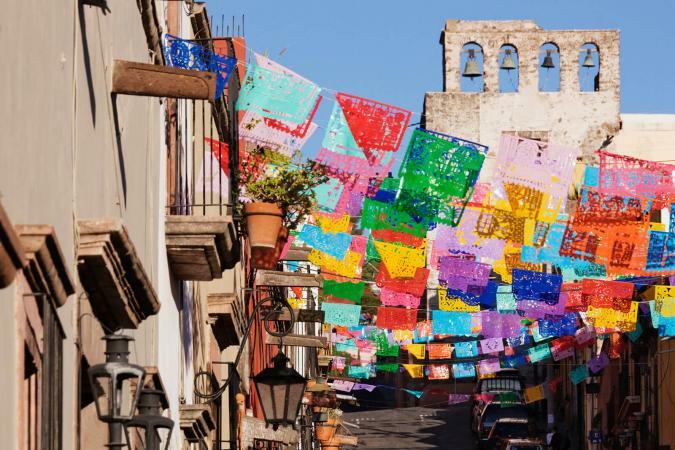 While Mexico, in general, may offer but a smile at their calendars when Cinco de Mayo rolls around, Puebla and cities all over the United States will hold Cinco de Mayo celebrations. Some may celebrate with formal marches and re-enactments, like Puebla, and some celebrate with Mexican fiestas, dances, and parades. At the end of the day, what will matter the most is the sense of community and mutual understanding.